This weeks highlight in a strong week for political programming is the documentary which tells the story of the Hungarian uprising of 1956 through the eyes of participants. Other picks include an investigation into the activities of Coca-Cola and also into the claims of Hugo Chavez. It is 90 years since the British rulers of Palestine supported the idea of a nation state for Jews, but they are still held to blame for intensifying a conflict that continues to this day. From the deserts of southern Jordan, through the West Bank and Israel, this film traces the roots of the "Palestine issue" and the disparate nationalist demands the British faced. Militants fighting the Israeli army today believe colonial rule was a straightforward betrayal of the Arab cause. John Sweeney meets Venezuelan President Hugo Chavez who has, it is claimed, been in a position to critique the US political administration simply because his country owns huge resources of oil. Chavez boasts that he is spending the oil bonanza on the poor yet six out of ten Venezuelans still live below the poverty line. Mark Thomas travels to South America, India and the US to expose the ways in which Coca-Cola's suppliers operate, causing environmental damage and human rights violations. This documentary examines the key role diamonds have played in funding wars in central and west African countries such as Angola, Sierra Leone and Liberia, resulting in the deaths and displacement of millions of people. This documentary tells the story of four students at the troubled Music School in the Angolan capital which is recovering from 27 years of civil war. Despite continuing poverty and a disregard of the contribution of artists, the students remain positive and hopeful even when the director leaves and the school closes temporarily. In this Time Shift investigation, the former director general of MI5 Stella Rimington examines British ideas of Russia. As well as containing interviews with dissidents, smaller stories are also told; for example pf Stalin's attempt to pick up a woman in east London, and of Rimington's own visit to Moscow in which she lectured the KGB on how to behave in a democracy. 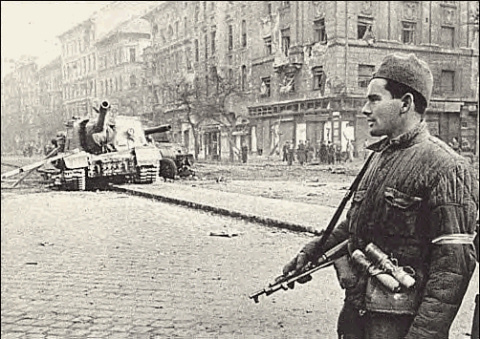 This documentary, being repeated on BBC4, may not be the most complete historical record of the failed uprising which marked a turning point in the Cold War but it does, in examining the personal recollections and actions of participants provide a vivid and engaging account of the kind of attributes and responses necessary to both fight and to survive in a revolutionary situation. Paranoia and corruption at the highest levels of Russian society are exposed in this Storyville investigation into the murder of several Russian journalists.